An artist’s impression of the Energy Observer. The catamaran won the Jules Verne trophy for a team sailing non-stop round the world, in 1994. It was bought for €500,000 ($562,000) and extended by a whopping six metres, to 30.5 metres (100 feet), for the project. 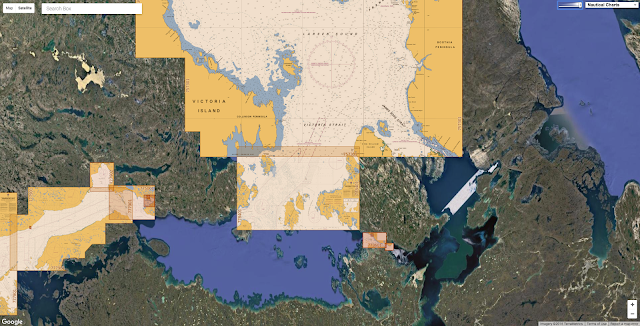 “It’s very promising for marine transport,” Hulot added. 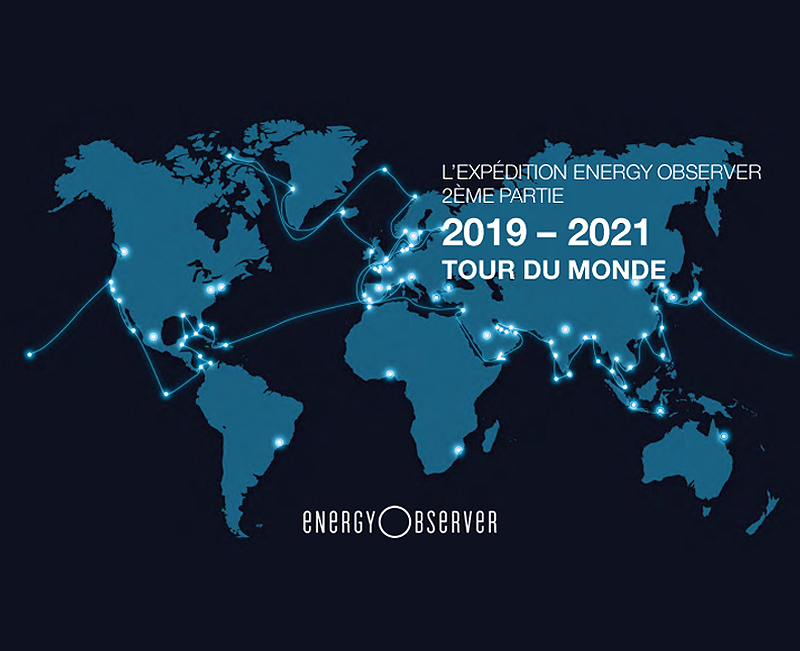 Energy Observer’s world tour is expected to take six years. 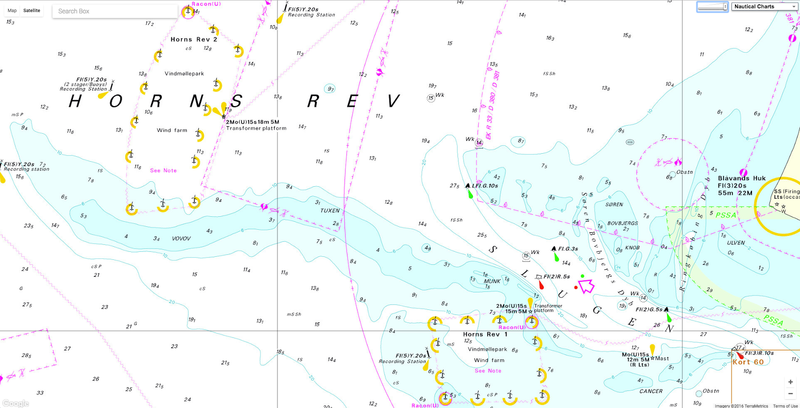 After a careful crossing of the Mediterranean, the catamaran will venture out into the Atlantic and then Pacific oceans. The installer in question was Dong Energy. 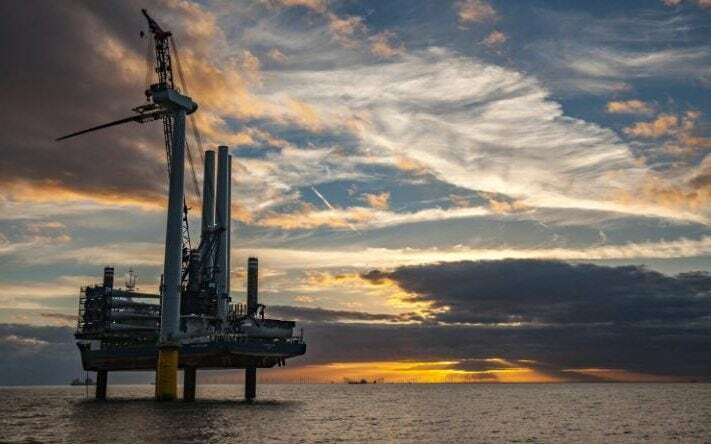 From its modest start with the 90 megawatt (MW) Barrow offshore wind farm, one of the UK’s first when it was completed in 2006, Dong has built an empire encompassing ownership or part-ownership of eight projects in UK waters. 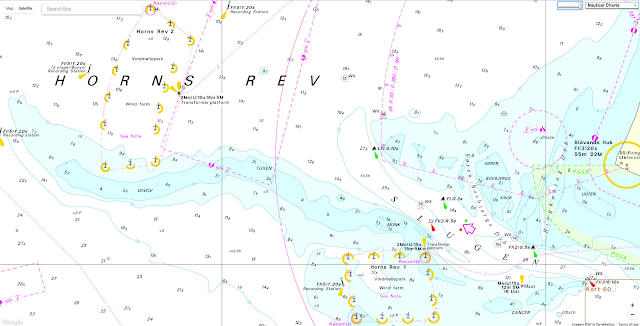 They include a 25pc stake in the 175-turbine London Array, which, at 630MW, is the biggest offshore wind farm in the world to date. 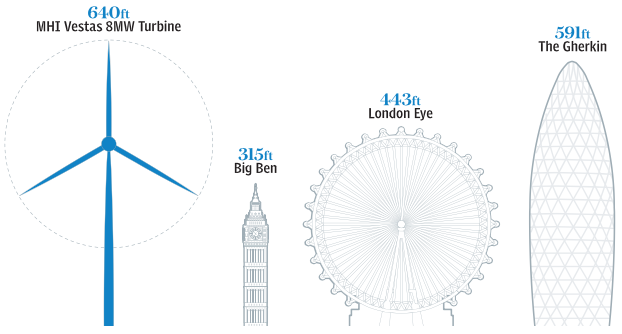 In total, of the 5.1 gigawatts (GW) of turbines installed in the UK waters, Dong has interests in just over two-fifths (2.2GW) of them; its actual ownership stakes equate to 985MW. Everything it has built to date receives subsidies through the Renewables Obligation (RO) scheme; analysis of Ofgem data suggests Dong’s share of the subsidies last year, on top of the wholesale electricity price, could easily have topped £250m. 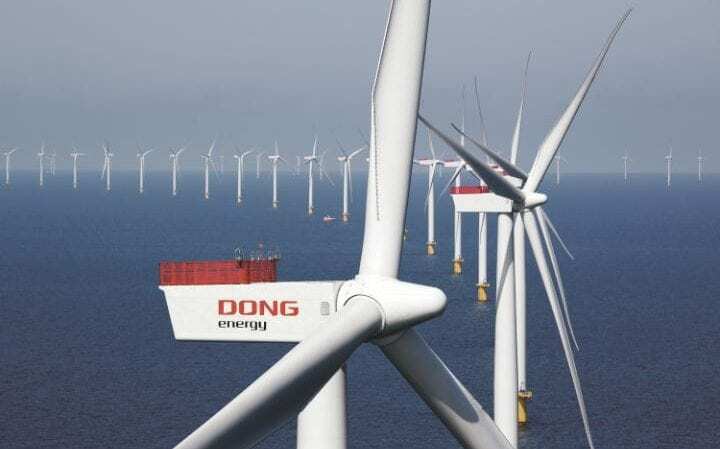 Dong is currently constructing four more offshore wind farms. 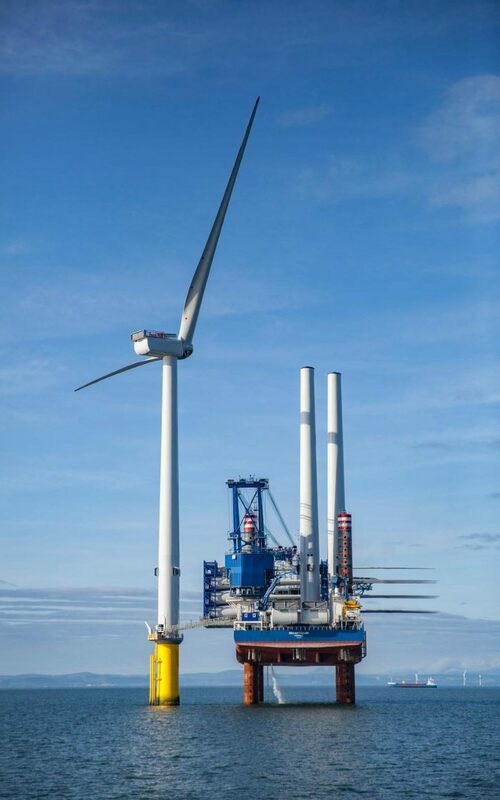 There is the Burbo Bank Extension (258MW), where the world’s largest turbine, an 8MW beast taller than the Gherkin, was installed last week. 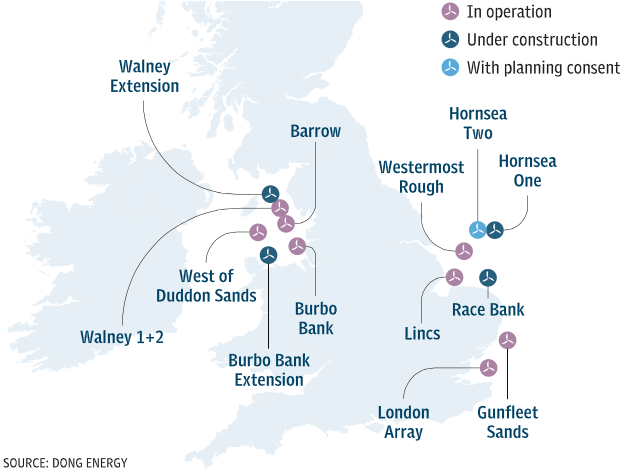 Then there is Race Bank (570MW), the Walney Extension (659MW) and Hornsea One, which, at 1.2GW, should seize the crown of the biggest in the world when completed in 2020. Of the 10GW of turbines the Government expects to be spinning in UK waters by the end of this decade, Dong Energy is due to be involved in almost exactly half. The company says its new investment will total £6bn, on top of £6bn spent in the UK to date. And with eye-watering investment figures, come even more eye-watering subsidies. Aside from Race Bank, which qualifies for the RO, the other three under construction were awarded subsidies in April 2014 under the Government’s new 'contracts for difference’ scheme, guaranteeing them a fixed price for the electricity they generate for 15 years. For Burbo Bank and Walney, the contract price is £150 per megawatt-hour (MWh) or about three and a half times the current wholesale power price; for Hornsea, a marginally cheaper £140/MWh. Government estimates obtained by the Telegraph suggest that when these three projects start generating they will receive subsidies, over and above the wholesale power price, of £880m a year. Over their lifetime, even on a discounted basis, the payments will be worth a cool £7.6bn. To understand how Dong Energy built such a dominant position, you have to go back a decade, to when it was formed through the merger of the original Danish Oil & Natural Gas company with five electricity-focused Danish energy companies to form a national champion. “The Danish Government had very much said, 'we are massively reliant on imported coal and oil and gas’. They wanted to minimise that,” explains Brent Cheshire, Dong Energy’s UK country chairman. The company set about transforming itself from one focused on fossil fuels to one focused on wind. 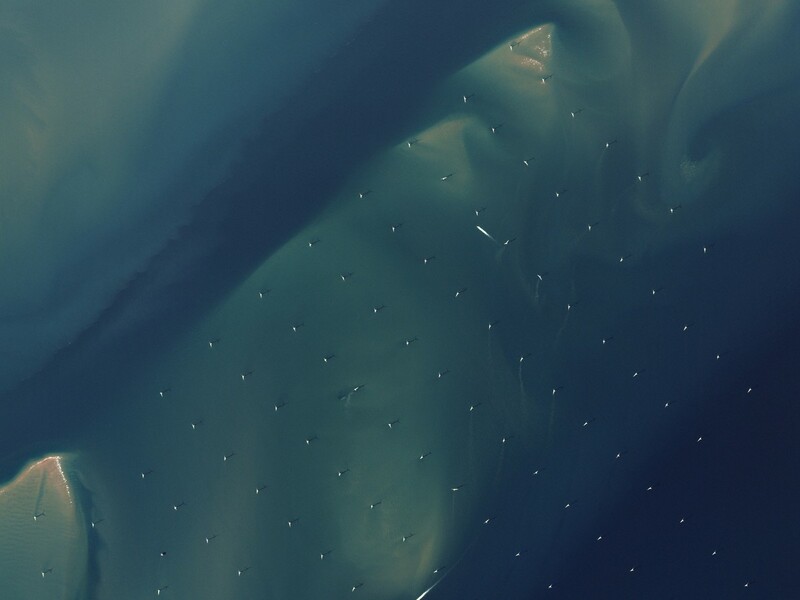 And as it did so, it spied opportunity across the North Sea, where the UK Government had also thrown itself behind offshore wind in pursuit of climate change targets. “The Dong management team said, the UK has potentially got much more opportunity in similar geographical conditions. So we have a mousetrap sitting here in Denmark that we can export,” Cheshire says. John Musk, utilities analyst at RBC Capital Markets, also believes that Dong Energy’s state-controlled ownership structure was key. 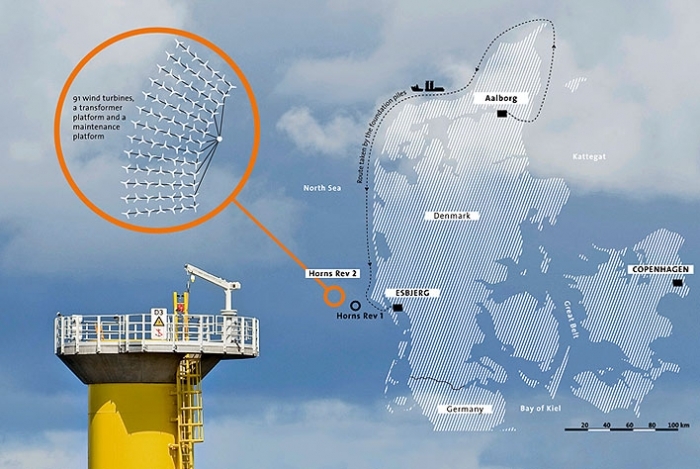 “During the time when other utilities largely had been constrained in terms of the amount of capex they were able to put to work and were cutting back on projects, the Danish government was able to look at longer term and pursue the offshore wind strategy,” he says. 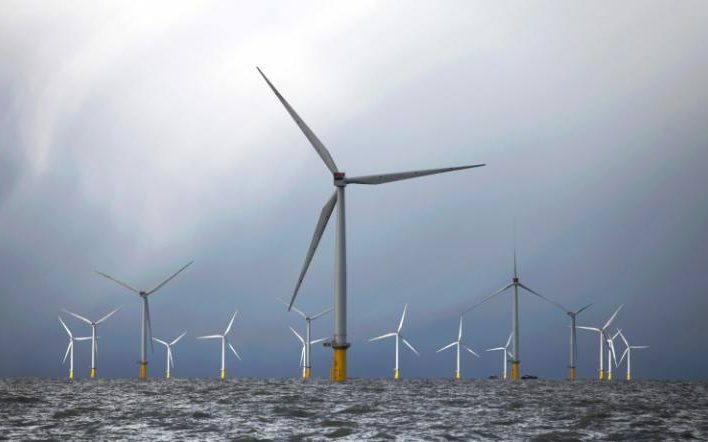 It was with the awarding of the first round of the new renewable subsidy contracts in 2014 that Dong’s UK dominance really started to be noticed, as the developer of three of the five offshore wind projects to win Government backing. The deals have since proved highly controversial: the National Audit Office found that the prices for the subsidies, set administratively by the Government, were likely to have been unnecessarily high. Less than a year after they were handed out, a competitive auction to award subsidies for further offshore wind appeared to prove the point, with rival developers securing contracts to build offshore wind projects for less than £120/MWh, some 15pc-20pc below the prices awarded to Dong. “They [Dong’s contracts] were way too high. They were too generous, absolutely,” says one rival industry executive. Dong executives are at pains to deny this. “Everybody was saying, no one will build at these prices, it’s the end of the industry,” insists Samuel Leupold, Dong Energy’s vice-president for wind power. Dong’s commitment to offshore wind, he suggests, enabled it to see the potential – and the need – for cost reduction where others didn’t. Even then, he insists, it still regarded those prices as “a challenge”. 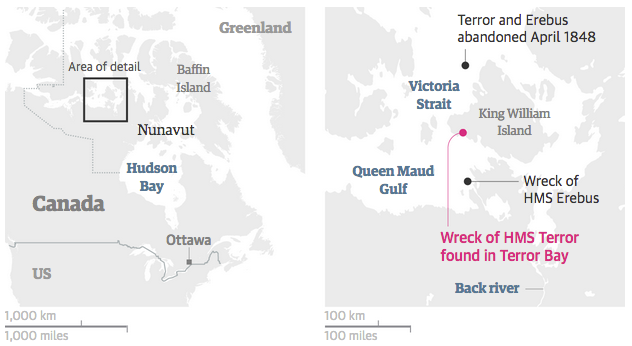 “We worked extremely hard. We put our neck on the block and said, we fully agree with the Government in accusing offshore wind of being too expensive. 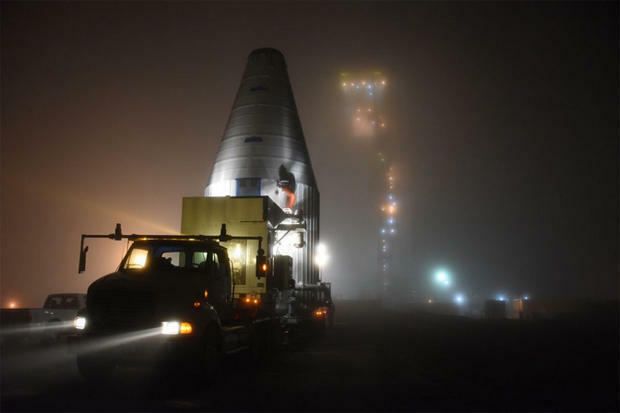 It was blood, sweat and tears to bring the cost down,” he says. One of the key ways of delivering lower costs has been through continual moves to bigger, more powerful turbines, culminating in those 8MW turbines at Burbo Bank. “We have bet on technology and we have taken the risks of being the first implementer,” says Cheshire. He insists that the award of the 2014 contracts enabled the industry cost-reduction that followed, giving the supply chain a pipeline of projects and enabling economic of scale. Despite Dong’s protestations, many share the belief that Dong got a very good deal on its three contracts. “I think they are certainly going to be getting attractive returns, and they are likely to be higher than the returns they would be able to win today,” says Musk of RBC, who initiated coverage this summer after Dong’s IPO, which valued the company at £10bn. The perception that the contracts were generous has only grown after Dong agreed a contract for a wind farm in the Netherlands in July, that will be up and running around the same time as Hornsea One, with a subsidy contract at just €72.70/MWh. While Dong stresses this is not comparable with its £140/MWh at Hornsea for a number of reasons – not least as it excludes €20-30/MWh in transmission costs – it is clearly still substantially cheaper. The Government had set a target of 50pc UK content in offshore wind, which Leupold says is “realistic” for its next projects. Leadsom as energy minister was vocal in calling for developers who secured the early contracts to maximise the benefits to the UK, calling it “payback time”. With energy now paired with industrial strategy in a department, it seems likely her successors will also have a keen eye on UK content. “The idea that every country gets a vertically-integrated industry that produces all the parts of the turbines in that country itself, that is what politicians dream of,” he says. For the projects now under construction, the blades will be made in the UK: either by Siemens in Hull, or MHI Vestas in the Isle of Wight. Some foundations may come from Teesside, but many turbine parts will be produced elsewhere. The Siemens nacelles come from Germany, while towers are likely to be sourced across Europe. “The tower is a commodity, everybody can make towers. The blade, believe me, the blade is the frontier, technology wise,” Leupold says. 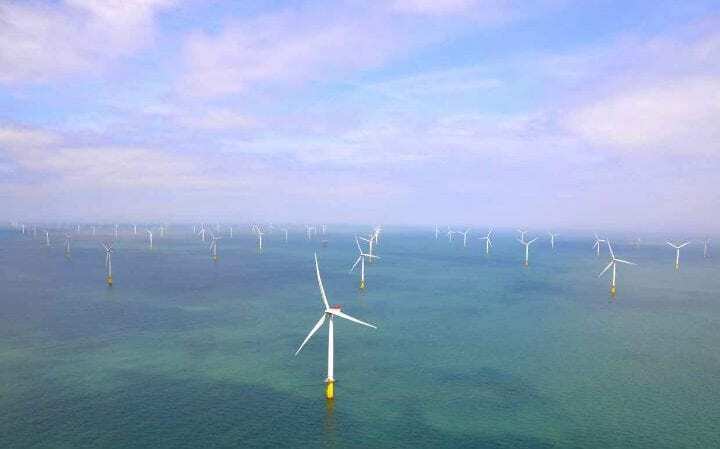 Whatever battles lie ahead over the supply chain, the new Government has already reaffirmed plans to continue the UK’s drive for offshore wind. More subsidies are due to be awarded this parliament, subject to cost-reduction targets that Dong says it is confident it can meet. And that means Dong’s conquest of the North Sea is not over yet. Last month it got planning consent for Hornsea Two, which at 1.8GW is the biggest to have got permission anywhere in the world. Musk says he “fully expects” Dong to secure subsidies for the construction of at least part the project in the next auction, due early next year. Plans for Hornsea Three, at up to 2.4GW, are already being drawn up; there is talk that a Four and Five could follow. Dong’s position as the market leader looks safe “for the forseeable future”, Musk concludes.